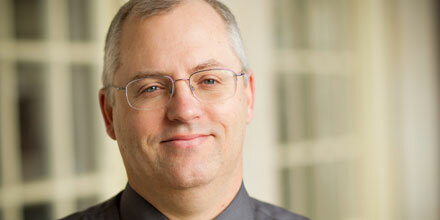 Brad Jones has been reappointed to a second term as Dean of the Graduate Programs in the Arts & Sciences. Jones, a professor of chemistry at Wake Forest since 1989, is also an alumnus, completing his BS degree in chemistry in 1984. Under the joint supervision of Jones and Dwayne Godwin, Dean of the Graduate Program in the Biomedical Sciences, Wake Forest’s Graduate School now features 30 masters and Ph.D. disciplinary or interdisciplinary programs, and sponsors 12 programs jointly with the schools of Medicine (MD/PhD, MD/MS, MD/MA & MMS/PhD), Business (MBA/PhD), Divinity (MA/MDiv), and College (BS/BA & MA). More than 800 students are enrolled in the graduate school. In 2015, several Arts & Sciences graduate programs moved all or part of their teaching and research/creative activities to restored mill space at 200 Brookstown Avenue; a number of graduate school administrators moved to Brookstown as well.